This week thru Saturday 4/20, you can get an extra 20% Off select Cat & Jack Baby & Toddler Denim both in stores and online at Target.com. 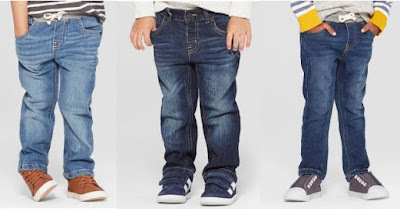 There are several different sizes included – toddler, infant, and even newborn in lots of different styles. If you are shopping online, no code is needed, the discount will apply at checkout. Shipping is FREE on orders of $35 or more, and as always, if you have a Target REDcard you will get an additional 5% off and FREE Shipping.